You may also see this event (or similar) in the Event Log. If you come across this problem, you can change the ContentDir above to a valid path. Keep in mind that it cannot be the root of a partition. You need to specify a drive letter with a subfolder (eg: e:\wsus). The other option is to reinstall the WSUS role. 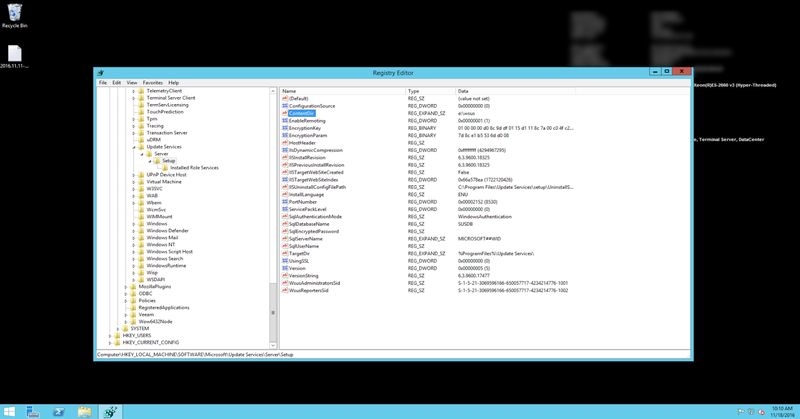 If you remove the role, the WID database is not removed, unless you remove that role as well (or manually delete the database). 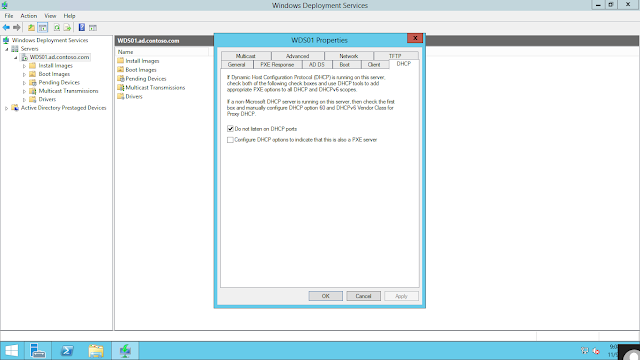 This means that when you reinstall the WSUS role, it will be able to use that same database and any clients that have contacted the WSUS server will immediately show up in the console. The same is true for update metadata. The new WSUS installation will still have the same approvals, denials, etc. as the old installation. Regardless of what option you choose, I suggest rebooting the server after you make the changes. If you come across this problem, you can change the ContentDir above to a valid path. Keep in mind that it cannot be the root of a partition. 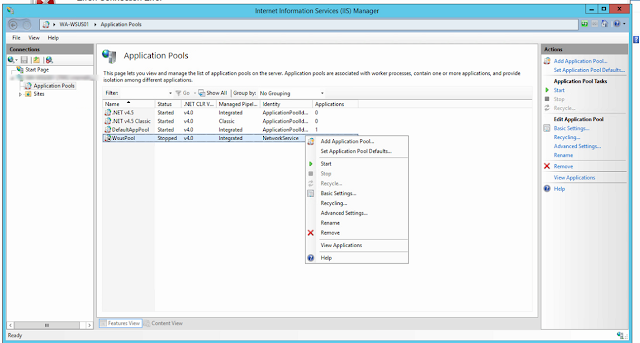 You need to specify a drive letter with a subfolder (eg: e:wsus). Restarted the WSUS, WID, and IIS services to no avail. 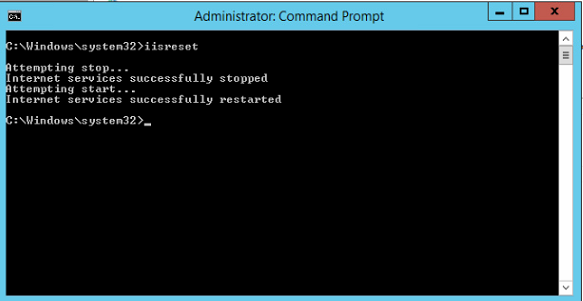 I even rebooted the server. 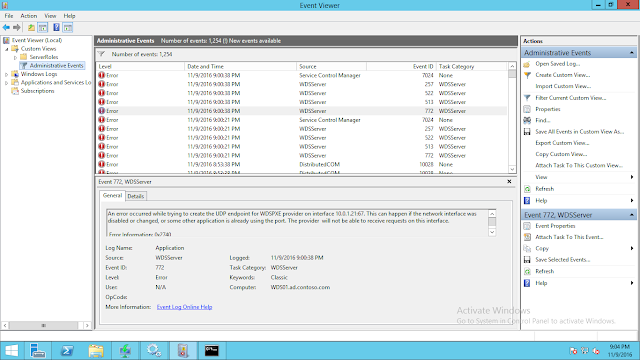 The WSUS console would work for a short period of time, and then would randomly stop working. I found that the WSUS app pool in IIS was being disabled anytime new clients connected to the server. I believe this was because the app pool was running out of usable memory. 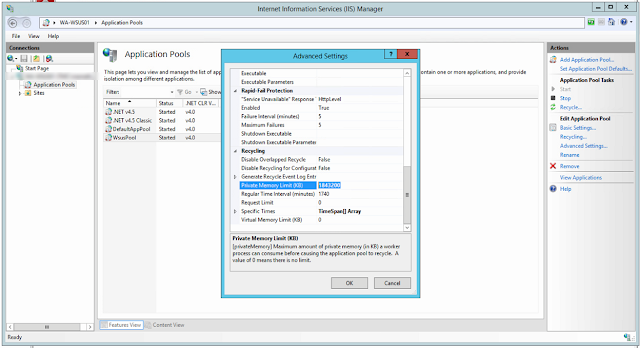 You can manually start the app pool in IIS, but it will continue to crash. By default it is only configured to use just under 2 GBs. I reconfigured it to use up to 4 GB and the WSUS console has not crashed since. 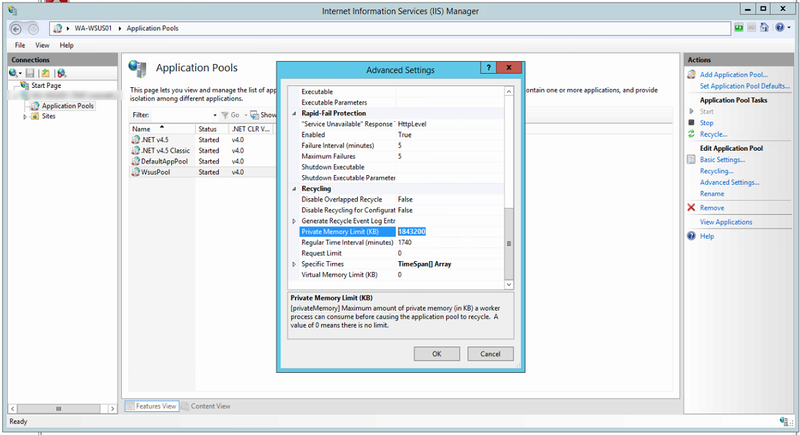 After re configuring the memory for the application pool, run an IIS reset or reboot the server. UPDATE: Setting the Private Memory Limit to "0" will allow the application pool to use whatever amount of memory it needs. This was a new one for me. 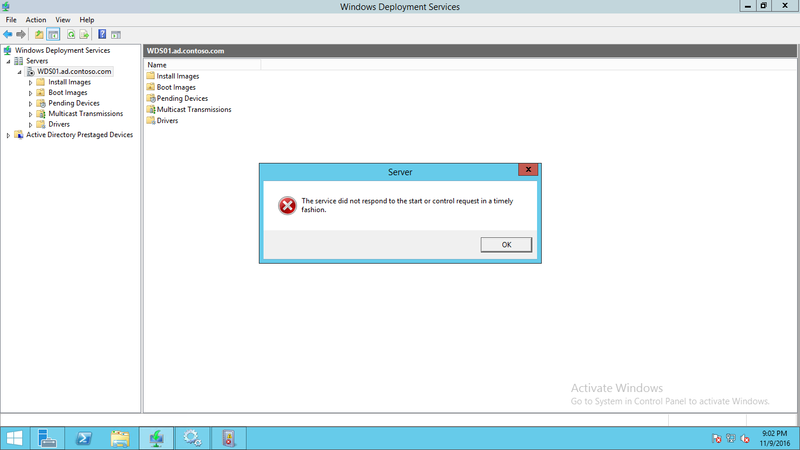 Usually WDS is rock solid and it just works. I had installed DHCP on this server the night before and totally forgot about it. Anyway, the solution was simple. 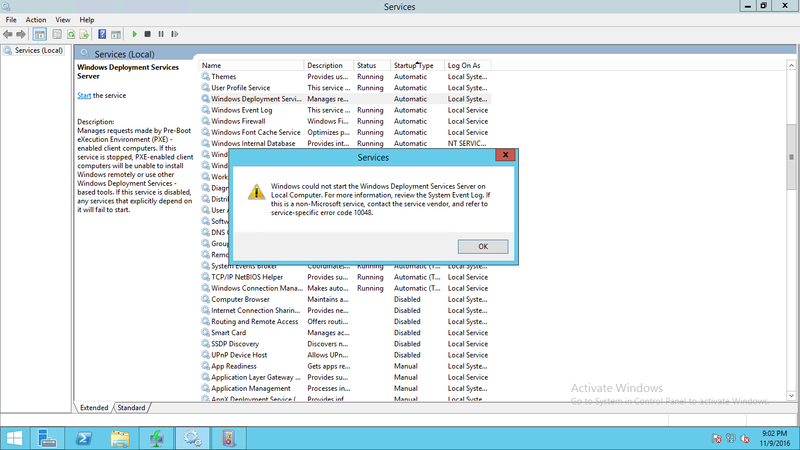 I just needed to tell the WDS service to not listen on port 67. 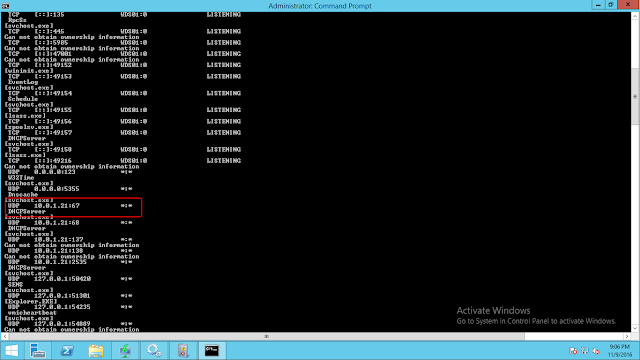 To do that, just open the WDS server properties and got to the "DHCP" tab. 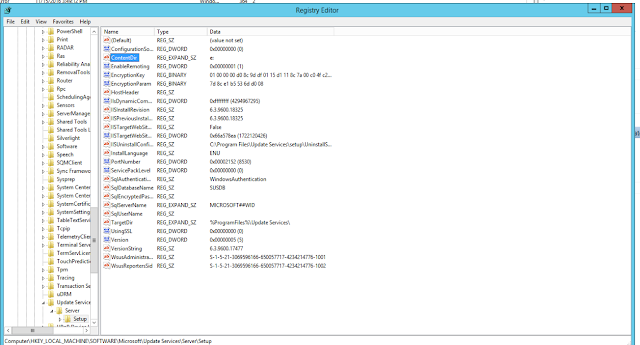 Then check the box next to "Do not listen on DHCP Ports". 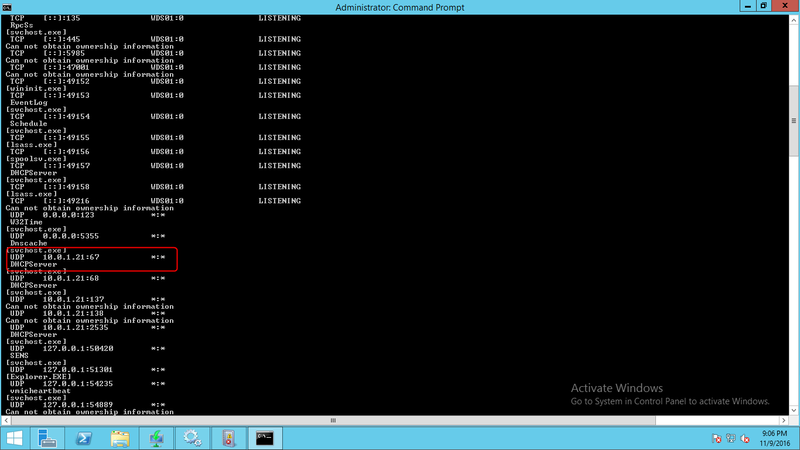 I was then able to start the DHCP service.